I'm trying something new this year. 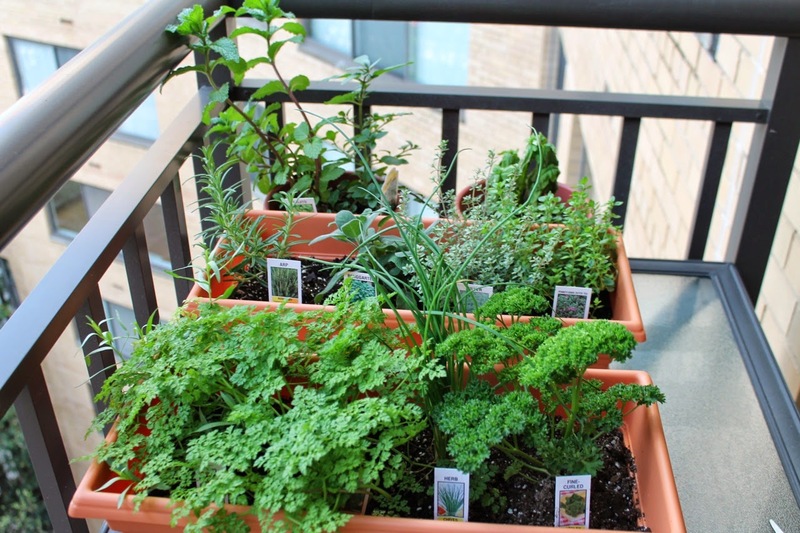 I'm growing an herb garden. I've never grown anything before. Some friends gave us a rosemary plant for Christmas once and it was dead within a week. Seriously. It's going to take a lot to turn my thumb green, but I'm willing to give it a try. I planted the herbs pictured above 3 weeks ago. Since then, D.C. had some unusually cold nights, which I think is what has contributed to a premature demise for the basil (upper right). But many of the other plants are flourishing, especially the chervil, which is threatening to take over the tarragon. The mint and chives are looking good too. The rosemary, sage and thyme haven't grown that much yet, but I'm hopeful with the warmer weather they'll take off. With some of herbs ready for me to start harvesting, I wanted a simple dish to showcase them and this pasta dish was perfect. 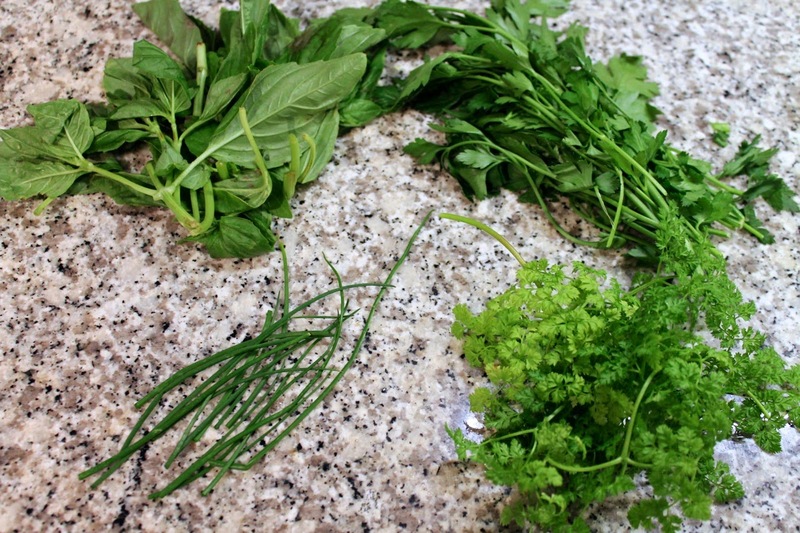 While I wasn't able to fully source the herbs from my garden, I combined the chives and chervil I grew with basil and parsley from the supermarket. 1. Cook pasta according to package directions for al dente in salted water. Reserve 1/2 cup of pasta cooking water then drain pasta and set aside in the cooking pot. 2. Heat butter and olive oil in a medium frying pan over medium-low heat. Add garlic and red pepper flakes and cook until the garlic is fragrant (do not brown the garlic). Remove from heat and stir in the lemon zest. To the pot of cooked pasta, add the garlic mixture, the chopped fresh herbs, lemon juice, salt and pepper. Stir to combine. 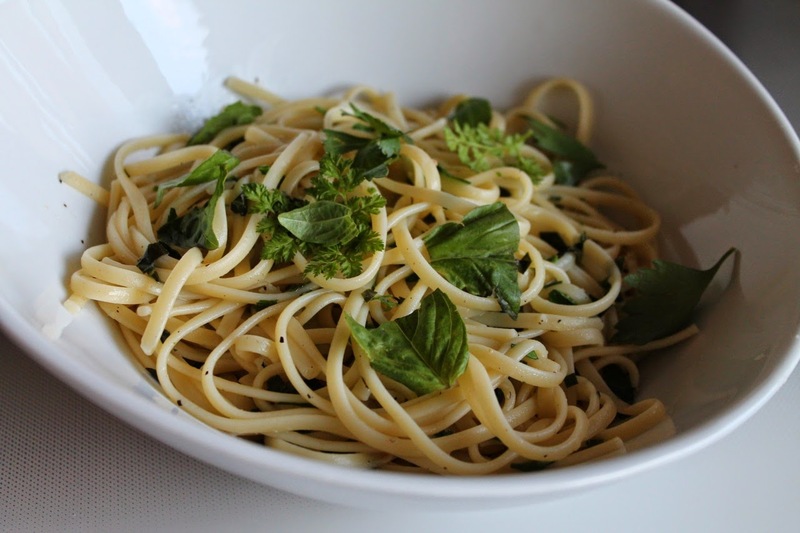 Serve pasta in bowls topped with a few larger pieces of fresh herbs. Serve grated parmigiano-reggiano or pecorino romano cheese at the table, if desired. Oh, look. It's our balcony! Also: This was a really good dish.